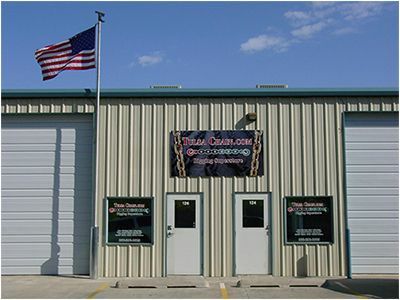 Tulsa Chain.com, LLC is located in our nations heartland- Tulsa, OK.
We are professionals serving the rigging and securement industries for over 40 years. Our goal is to provide superior quality products at competitive prices to our customers. Please feel free to contact us with any questions you may have.